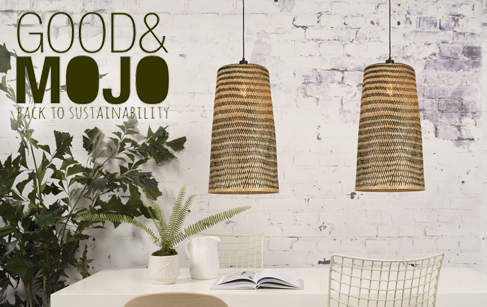 The GOOD&MOJO collection consists of eco-friendly lights made only of sustainable and/or recycled materials. GOOD&MOJO is also a solidarity collection, because 5% of the sale price of each light fixture purchased is donated to the WakaWaka Foundation. This foundation, based in the Netherlands, distributes solar lamps for people in crisis areas, in close collaboration with humanitarian aid organisations.